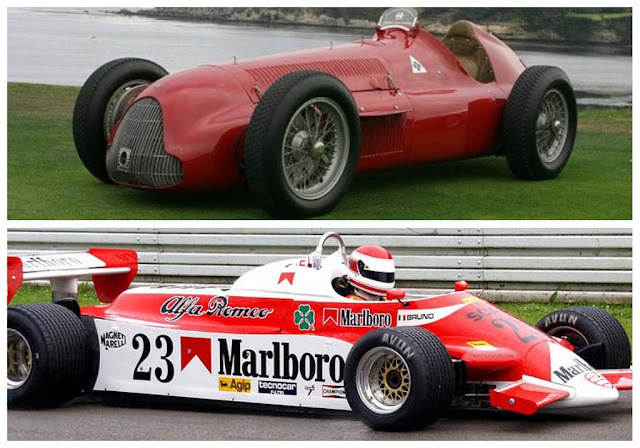 As I was publishing my Giulia post it was announced that Alfa Romeo would re-enter Formula One in 2018, providing engines for the Sauber team. However, for a company mired in huge debt, like FIAT CHRYSLER AUTOMOBILES (FCA), this announcement is not as grand a gesture as first appears. Sauber Grand Prix is an existing Ferrari customer, and uses the ‘Customer’ F1 engines, so Alfa Romeo’s involvement will be to provide Alfa Romeo engine covers; the paintjob; and a few Alfa Romeo decals – no actual cash. The engines will continue to be provided by Maranello, but I’m assured they will be virtually identical to those used by the Scuderia. After inking this deal, FCA Chairman Sergio Marchionne is now trying to interest another F1 team in using ‘Maserati’ engines, on the same basis. Once again, they would be Ferrari ‘Customer’ engines, with the associated Maserati branding – no cash. 1. He wants Alfa Romeo and Maserati to appeal to younger buyers, and sees F1 as the path to this result. 2. He wants a ‘cheap’ branding deal, which provides a presence, achieved by using Ferrari ‘Customer engines’, but also the afterglow that comes with an F1 team being associated with two great Italian brands, which enjoyed historic F1 successes. 3. He wants to ‘fatten up’ the two divisions, which along with (hopefully) improved sales numbers, and the gloss and glitz of being in F1 - will ease the way for both divisions to be sold, and reduce FCA’s massive borrowings. F1 glory came in 1951 with Fangio winning in the Alfetta Tipo 159. Thirty years later Bruno Giacomelli competed in Alfa Romeo's last F1 car. As I have written before, FCA faces massive debt obligations, and with stagnant Group sales, and the need for ongoing investment, he needs to do ‘something’ to reduce debt. He tried to find another western car manufacturer to ‘buy’ (ahem: ‘make a joint venture with’) FCA – that ended nowhere. The investment analysts have convinced Sergio that Jeep and Ram are saleable, and having sold off Ferrari, maybe selling Alfa Romeo and Maserati would work too. Currently Ferrari’s market cap is around USD$21 billion; FCA’s market cap is just USD$18 billion. The current valuations of the divisions (according to analysts) are: Jeep USD$22 billion; Ram USD$11.2 billion; Maserati USD$3.5 billion. You might ask, if you sell all these nameplates, what’s left? Well, just severely wounded Chrysler and FIAT divisions; but with all the debt paid off, that leaves funds available to develop all-new cars for the remaining, debilitated, divisions. That way the Italians get to keep FIAT; and the Americans get to keep Chrysler. The man with a lust for Alfa Romeo (and maybe Maserati) is Dr. Ferdinand Piech, but VWAG is so wounded by the mounting cost of ‘Dieselgate’, it no longer has the money. Guess who’s left in the bidding ring? The Chinese, of course. My guess is that a couple of years from now we will see a similar deal to Volvo being acquired by Geely. That may sound disappointing, but for fans of Alfa Romeo and Maserati, it may be the only hope for survival of the marques. My brother is the die heart fan of cars and he loves to have the information and latest updates about all the upcoming brands. I will recommend this article to him.